Impress your family and friends with the most juicy steak recipe you can imagine. My dad used to heat a sauté pan so hot that I thought the handle would fall right off. He would put it on the burner and leave it there, over low heat, for about 15–20 minutes. While a completely silent process, I remember feeling as if the pan was “screaming” hot. He would calmly season the steak with salt and black pepper on both sides, shut off the heat under the pan and gently drop it in. We would have a ribeye every once in a while, but my dad is a London broil and hanger steak guy. Those cuts, while not the most tender, are so delicious when seared over high heat and sliced against their “grain” to increase tenderness. And, while all beef is expensive, hanger and London broil are more affordable. To go with my steak, I love a simple little sauce—made right in the same pan—with any drippings from the cooking stirred together and poured over the steak. These are the kinds of recipes that don’t require a lot of ingredients but really resonate with people. It’s also a “one pan” meal, which I like. It’s amazing how spoiled I get having a dishwasher at the restaurant. When cooking at home for my hungry daughter, I try my best to make tasty food and keep the dish washing to a minimum. My dad once told me that his parents would have guests over for dinner and his mother would spend the whole night cooking and cleaning. By the time she came out of the kitchen, her guests would be ready to leave! I’d rather cook something great and then spend my time eating it with my daughter or friends. I’d imagine you feel the same way. You want that kind of dish where someone takes a bite and stops for a minute to look down at the food and then up at you. Because it tastes so good. 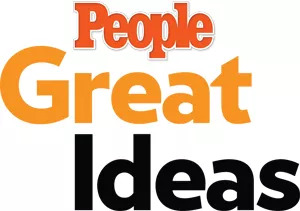 Check out the recipe for Alex Guarnaschelli’s Perfect Steak at PEOPLE Great Ideas.